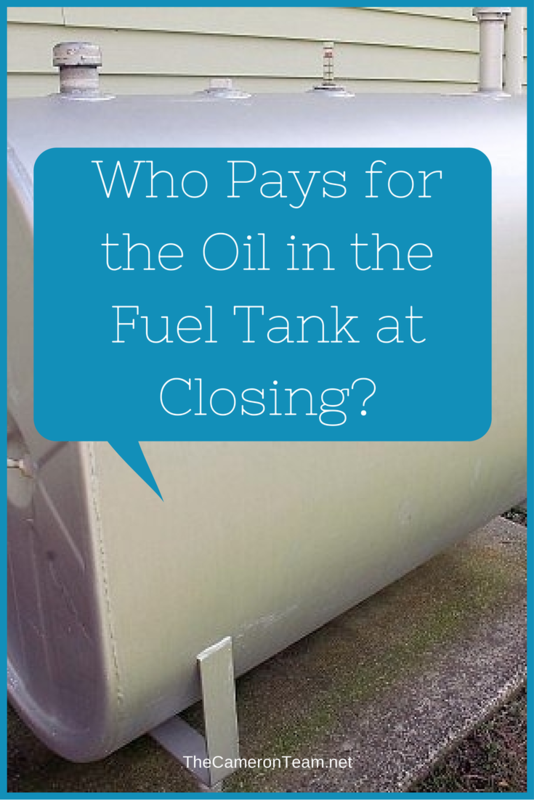 Who Pays for the Oil in the Fuel Tank? A Wilmington area home goes under contract. The fuel tank attached to the home still has oil in it. Come the day of closing, who pays for that oil? According to section 2 (“FIXTURES”) of the North Carolina Offer to Purchase, there are a number of items “included in the Purchase Price free of liens”. These include “fuel tank(s) whether attached or buried and including contents, if any, as of Settlement”. If the fuel tank is leased, it should be written into the contract as an exception, because it’s not technically owned by the home owner and cannot be sold. Owned or leased, the home owner has the right to exclude the contents and ask for the buyer to pay for them, but that doesn’t guarantee they will agree to such terms. Resolving an issue of “floating oil”, so to speak, can be tricky and it may put a kink in negotiations, so it’s imperative for the home owner to determine how important it is to them to recoup that fuel. Sometimes it’s best to let sleeping dogs lie. Have more questions about this? Give us a call or send us a message through our Contact page.